Bruno Allen began his musical studies at the Conservatory of music of St-Germain-en-Laye with the Spanish guitarist Javier Quevedo. In 2007 he obtained a first prize at the CNSMD (National Conservatory of Music and Dance of Paris) in guitar, chamber music, music analysis and baroque music. Holder of the DE (State diploma) and a master in musicology, he teaches since 2014 the guitar and the lute at the music school of Plessis-Robinson. Passionate about old music , he joined in 2015 the old music class of the Conservatory of Saint-Maur in theorbo and lute and that of Boulogne in 2017 with Miguel Henry. 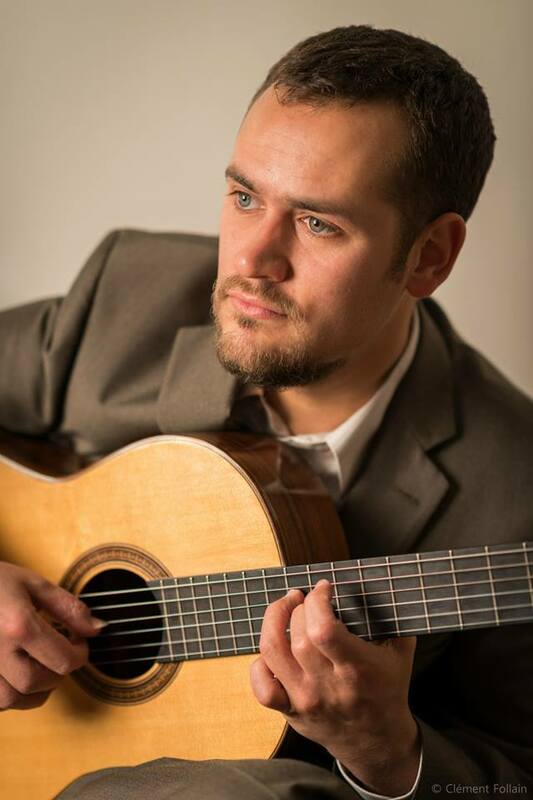 Bruno favors the musical diversity for his solo guitar recitals. His solo repertoire extends from J-S Bach to Astor Piazzolla. Nowadays, he has recorded a record of these composers. As a theorist and lutenist, he has the opportunity to accompany various choirs and orchestras (Collegium Vocale, youth orchestra of Ile de France …) and participated in various theatrical performances of the show “An Island in the Island” of Gianlucas Cartiglia. Bruno joined the baroque music ensemble Sylène in 2017 with whom he will perform parisians concerts in 2018.